Welcome to the October Newsletter. Well, September turned out to be ever so slightly busier than anticipated. Over the course of one week Choje Lama Yeshe Rinpoche paid a visit to Kagyu Samye Dzong London, during which time we had: the Tashi Lhunpo monks doing a Cham dance called the Power of Compassion in our shrine room; some informal time with Lama Yeshe and hoisting HH Gyalwang Karmapa's dream flag at the entrance (see the photo above); Lama Yeshe Rinpoche and Lama Zangmo spent a weekend in Denmark teaching at the Milarepa Meditation Centre for the first time; and upon their return to London he and Lama Zangmo were able to meet the Dalai Lama during an interfaith meeting at the Houses of Parliament. Finally, Lama Yeshe Rinpoche also presided over a fundraising event for a Rokpa South Africa project called the Circle of Nourishment where we were able to raise an astonishing £3,159.50 due to the generosity of the gathering. A wonderful week was had by all. You can see pictures from some of these events in the Gallery on our website. In the meantime, if you want to find out what's awaiting us in October, just read on! The programme for the Centre between now and January is up on the website. We intend publishing a 9 month programme in the new year, but in the meantime flyers are available at the Centre. Second anniversary of the passing of Choje Akong Tulku Rinpoche - on Thursday 8th October, from 7.00-9.00 pm, we will have an evening of prayers for the swift rebirth of Rinpoche. Offerings of flowers and food for the shrine are welcome. The Thirty-seven Practices of a Bodhisattva - the final class in this series with Lama Zangmo will be taking place on Saturday 31st October. 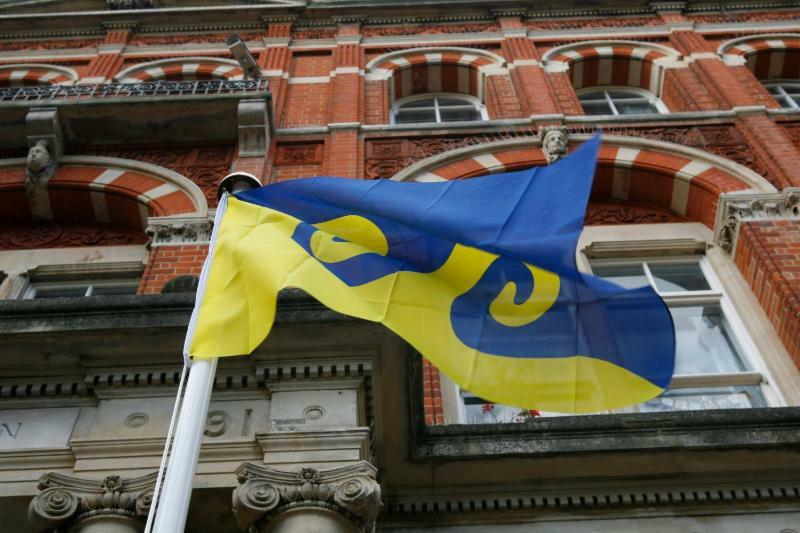 The office at Manor Place closes on Wednesday 30th September. Please contact the office at Spa Road for any queries relating to the Centre, as both email and phone will be disconnecting in Manor Place. Facebook - all of our Facebook activity has now been moved to our Facebook page. For those of you who were already friends linked to our profile this should not affect you in anyway. Please visit our page to see photos, posts, and future events. Help us increase our profile by liking and sharing our posts. Thank you. Volunteers needed at Spa Road and Manor Place - as Manor Place winds down we need to start clearing it out before we finally vacate the site in early January. To this end we do have three volunteer weekends scheduled for November and December - but if you can help in the meantime, please don't hesitate to get in touch. 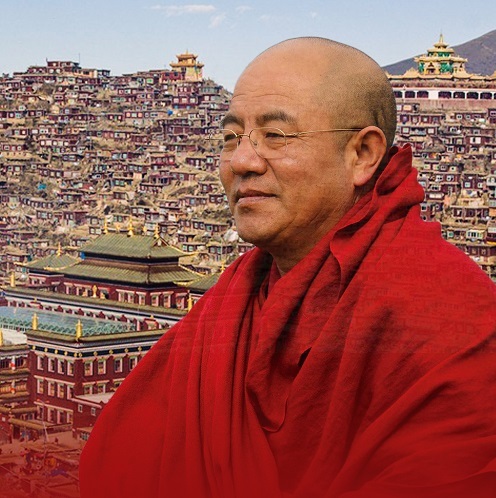 We have the great honour of hosting Khenpo Sodargye Rinpoche who is one of the main teachers of the renowned Larung Gar Five Sciences Buddhist Academy, the largest Buddhist academy of its kind in the world. He trained closely with His Holiness Jigme Phuntsok Rinpoche, one of the great luminairies of his generation. On Friday 23rd and Saturday 24th October, Khenpo Rinpoche will be giving teachings on the 35 Buddhas Confession and Purification as well as Training in Compassion and Compassionate Action. He will also be conferring the Thousand Buddhas empowerment and Chenrezig empowerment. The full programme for Rinpoche's visit can be found on the website. Due to the number of people we are expecting to attend, it is essential that you reserve a place in advance. To avoid disappointment, and to help us organise the event, please reserve a place in advance by clicking on the "Reserve a place" button near the top of the event page on the website, and complete the form that comes up. If you have to cancel, please make sure you let us know in advance so we can give the place to someone else. 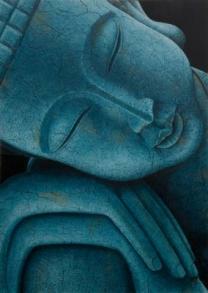 Traditionally the Buddhist teachings are given freely because they are considered priceless. In the Buddhist tradition one practices generosity, or Dana, by making offerings for the teachings. This generosity is not payment for goods or services rendered; it is an offering given freely from the heart in appreciation of the Dharma. On the 17th-18th October, Gelong Thubten will be leading a weekend course explaining how meditation helps us to transform our way of dealing with stress. Practical methods will be given as well as an explanation of how our mind creates stress, and how mindfulness and meditation can help to free us from our reactive patterns. We will look at the kind of pressures which trouble us at work and at home, and how to deal with these skilfully, as well as how to transform our attitudes to difficult relationships and interactions. Thubten has considerable experience teaching meditation and mindfulness in corporations such as Google, law firms and other busy office environments. He also provides courses in schools, hospitals, prisons and the social services. In this course Thubten will share some of this work and the experiences of working in these various fields. Meditation and the Transformation of Stress with Gelong Thubten on Saturday 17th and Sunday 18th October, 10.00 am - 4.00 pm. Book your place now via the website. This course, run by the Mindfulness Association on the 10th-11th October, is an Introduction to the foundations of Mindfulness, which is suitable for beginners and for those who already have a Mindfulness practice. Mindfulness is defined as paying attention to our moment by moment experience in a way that is non-judgmental and kind. In the beginning we notice how our attention is like a butterfly flitting from one thought to the next. So we start by slowing down and settling our mind through regulating breathing and counting. We then introduce practices that ground us allowing our attention to drop out of the throng of thoughts in our heads into the sensory awareness of the body. We then learn to rest in the present moment getting used to disengaging from our habits of compulsive doing. And then, when we notice our attention drifting away into thinking, we learn to work with the mindfulness supports of sound. The Mindfulness Practitioner Foundation Course takes place at Spa Road on the weekend of the 10th-11th October, 10.00 am -5.00 pm, cost £140. 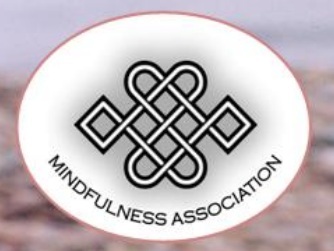 Further details about this weekend are available on our website, although bookings and further information about Mindfulness Association Courses are available from their website. Further details will be in the next newsletter but in the meantime, if you're interested, please put Saturday 21st November into your diary now. Join us for an evening of prayers for the swift rebirth of Choje Akong Tulku Rinpoche on the second anniversary of his passing. Offerings of flowers and food for the shrine are welcome. Guru Rinpoche Mantra Day with the Samye Dzong Sangha. This will be a day of accumulation of Guru Rinpoche mantras for Choje Akong Tulku Rinpoche. Anyone is welcome to attend. Offerings of flowers and food for the shrine are welcome. Saturday and Sunday, 10th - 11th October, 10:00am - 5:00pm. This course is an Introduction to the foundations of Mindfulness, which is suitable for beginners and for those who already have a Mindfulness practice. A course explaining how meditation helps us to transform our way of dealing with stress. Practical methods will be given as well as an explanation of how our mind creates stress, and how mindfulness and meditation can help.